Virginia and Kentucky officials have rejected numerous records requests relating to the fatal crash at a white nationalist rally and the Toledo man accused of committing the crime. A month has passed since a driver — identified by authorities as James A. Fields Jr., 20, of Toledo — barreled into a crowd at a “Unite the Right” event in Charlottesville, Va. Mr. Fields remains held in jail. The Blade asked for 911 calls, dispatcher notes, initial incident reports, and dashboard and body camera footage from several agencies. Charlottesville police, Charlottesville-UVA-Albemarle County Emergency Communications Center, Albemarle County Sheriff’s Office, and Virginia State Police all either refused this request or said they did not possess such records. A Charlottesville police spokesman did not return requests seeking comment. These records may never be released, said Alan Gernhardt, executive director of the Virginia Freedom of Information Advisory Council. Calls to 911, incident reports, and video from law enforcement are all made public at officials’ discretion, even once a case concludes. Mr. Gernhardt cited the Virginia Tech shootings from 10 years ago, in which many documents are still withheld. “[Out-of-state reporters] usually are surprised by how little has to be revealed,” Mr. Gernhardt said. Should Mr. Fields’ case go to trial, any evidence presented in open court would essentially be released. Transparency and accountability of law enforcement is of utmost importance, said Dennis Hetzel, Ohio News Media Association president. “When things are only released at discretion, you really don’t know what is the motivation for not releasing it,” Mr. Hetzel said. Mr. Hetzel said there are certain records, such as a detective’s notes, that deserve to be held for criminal proceedings. Ohio carries a presumption toward open records, unless the document meets a narrow exemption category. In Ohio, authorities are legally required to provide incident reports and 911 recordings upon request. Dash-camera footage is often given as well. Virginia law necessitates public agencies offer basic information regarding felony offenses, including general description, date, and location. It otherwise permits widespread exemption of records tied to ongoing investigations. Thomas Hanson, executive director of the emergency communications center, said the statute gives investigators time to do their jobs. Calls to 911 can become evidence for prosecutors in court, he said. “It’s not really up to us, because it becomes part of their file,” Mr. Hanson said. An Army spokesman, similarly, would not provide background on Mr. Fields’ military recruitment. She reiterated a statement that Mr. Fields reported for basic training in August, 2015. He was released from active duty the following December after failing to meet training standards. Officials at Randall K. Cooper High School and Boone County Schools refused to allow Blade reporters to view yearbooks for the years Mr. Fields was a student at the high school, and said they were not providing the materials to any media outlets. The City of Florence and Boone County, both in Kentucky, denied The Blade’s Aug. 14 requests for records involving Mr. Fields and his mother, Samantha Bloom, along with records about incidents at their residences. Ms. Bloom previously told The Blade she and her son move to northwest Ohio from Florence about a year ago. Florence Police Department, Boone County Sheriff’s Office, along with the juvenile court system, denied the requests, citing language in Kentucky’s law that excludes from public release all law enforcement records involving children who have not reached their 18th birthday. The law is fairly straightforward, said Amye Bensenhaver, a former assistant attorney general who wrote opinions for about 25 years before retiring. “There are some exceptions, but generally the public is not able to access juvenile law enforcement records,” she said. The goal is for a child to be rehabilitated by the time they’re an adult, said Ms. Bensenhaver. The City of Florence also cited statutes that state the release of the child’s treatment, medical, mental, or psychological records or any records of prior or abuse are prohibited from release, unless presented as evidence in circuit court. Additionally, “no person, including school personnel, shall disclose any confidential record of information contained” regarding the juvenile. Florence Police Captain Tom Grau declined multiple times to comment about the department’s involvement with Mr. Fields. The Blade gained a copy of 911 report logs from Mr. Fields’ home, where he lived with his mother at a condo on Mistflower Lane in Florence. It was provided by Boone County’s Public Safety Communication Center, a multi-agency dispatch center which serves the cities and unincorporated areas within the county. A juvenile’s name was redacted from the reports. The log revealed Ms. Bloom once locked herself in a bathroom when her 13-year-old son threatened to beat her up after she told him to stop playing a video game. There were also times when her son walked around with a knife and hit her in the head and threatened to beat her. On Aug. 29, The Blade requested from the Campbell County Police Department and the Kenton County Police Department records related to incidents involving Mr. Fields’ father and Ms. Bloom’s parents. The Blade requested a December 1996 fatal crash report involving James Fields Sr., the father of Mr. Fields. As of Sept. 14, according to Larry Shelton of the Kenton County Police Department, the agency had no record of the accident, and referred The Blade to Kentucky State Police. A request for the report was sent to the state police on Sept. 14, but no response was given. Staff writer Lauren Lindstrom contributed to this report. I suspect Virginia officials — particularly Charlottesville Police and city government — are trying to cover their asses. 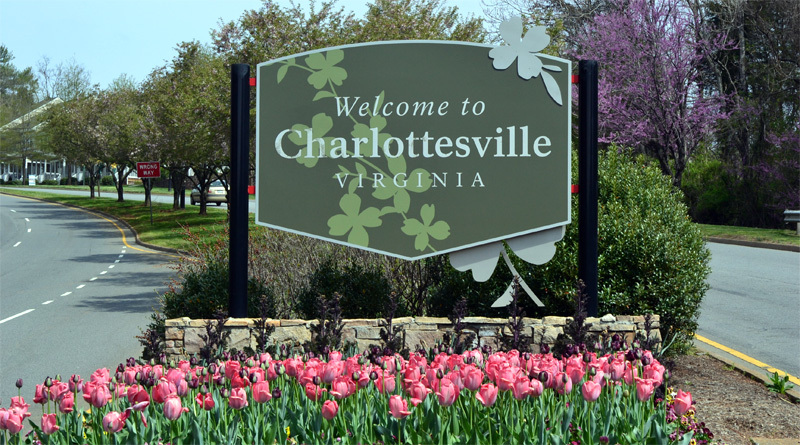 It is clear that the city was angered when a federal judge ordered Charlottesville to grant a permit to the peaceful demonstrators who wished to exercise their First Amendment Rights.